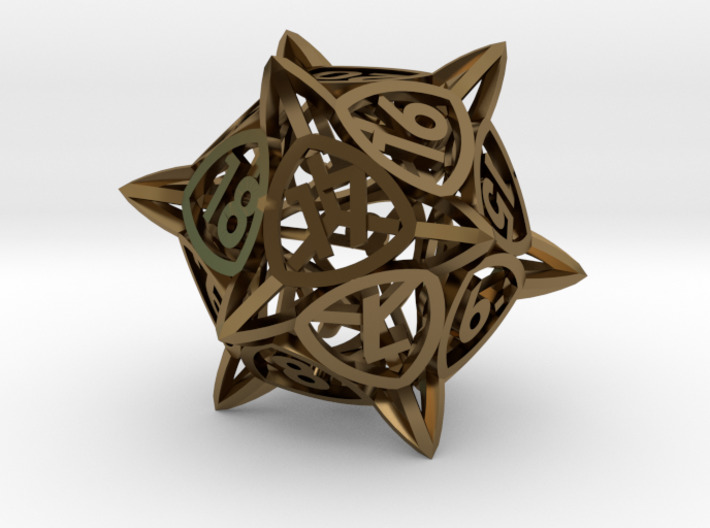 The spindown version of the D20 in my 'Center Arc' family of dice. 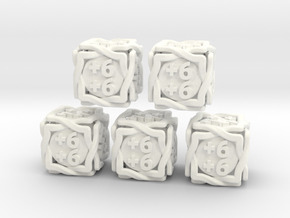 The numbers on the die are arranged in a spindown pattern, which makes it easier to keep track of your life total in games. Because of this the numbers on opposing sides of the die do not add up to 21. Even though the arrangement of the numbers is not standard, great care has been taken to ensure that the die is fair and well balanced, and therefore throws should not be biased. 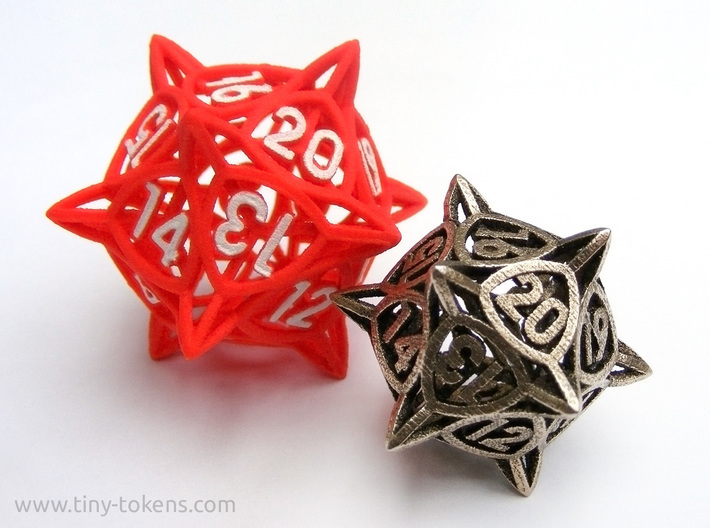 The die is about 35 mm (1.38") high and weighs about 15 grams when printed in steel. 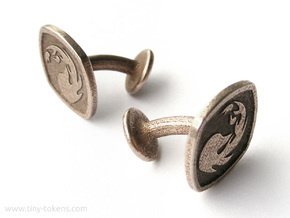 This size will print fine in plastic, but is better suited for metal. 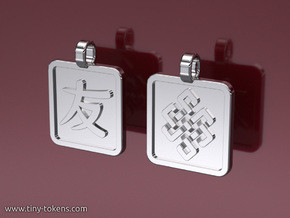 There is also a large version available which will work better in plastic. PLEASE NOTE: this is the spindown version of the d20. For a D20 with a regular arrangement of the numbers, as well as other dice in this design family, please see here. On the metal version you can darken the recessed ares by painting the die with thinned dark acrylic paint and rubbing it on a rough cloth after the paint has dried. This will clean the paint of the heightened details, leaving them shiny and contrasting nicely with the darker lower areas. On the plastic version you can color the numbers using acrylic paint and a fine brush. Because the numbers are raised above their background plane this is quite easy to do.